Earlier this school year I had the opportunity to study abroad in Milano. Considering my keen interest in the fashion industry, living and studying in a fashion capital was the highlight of my undergraduate college career. During my stay in Milan, I had the opportunity to visit other fashion capitals such as London, Paris and Stockholm (blog posts coming soon). Thus, it was only appropriate to choose Tokyo as the destination as my last spring break destination before graduating. 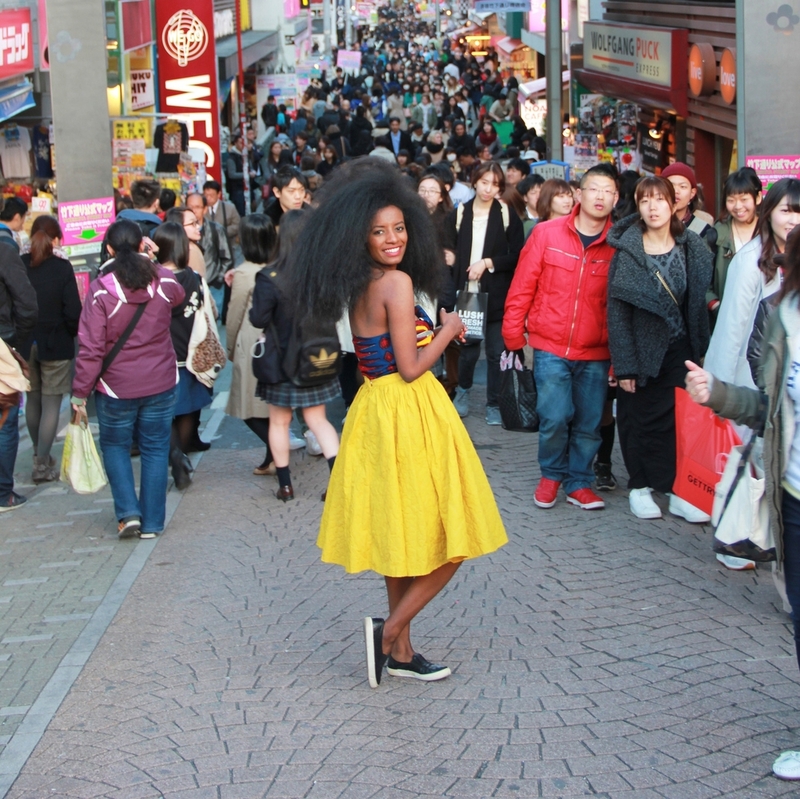 Aside from being a clean, tourist friendly city, Tokyo is a fashionistas dream. It was so unique from the other fashion capitals I have visited. I noticed that street style in the other fashion capitals was more sophisticated and glamorous, Tokyo however pushed the envelope and had true trendsetters. Nothing beats walking through the streets of Ginza, Harajuku, and Shibya. Even the school uniforms the Japanese girls wore had some edge; they added accessories to further individualize their pleated skirts. There were a lot of people in business professional attire on the subway every day of the week including weekends! I stood out amongst the majority of the women who had straight bangs and edgy bobs. Ginza had more of a western feel. This was where you can find upscale shopping areas and restaurants. The fashionistas sported luxurious and elegant looks from brands such as Prada, Louis Vuitton and Gucci. In Harajuku, I noticed women wearing more bold and colorful outfits. I picked up so many tips on how to make masculine pieces more feminine. Shibuya was a mix of both; although, there were fashionistas with more racy outfits, which I am guessing is a result of Shibuya being one of the major nightlife areas. P.S. If you are curious to see some of the street style in Tokyo a few of my favorite blogs are style-arena, tokyo-faces, and tokyofashion.